BOSTON, May 28, 2013 — Houston-area systems design and integration firm Covenant Communications has gradually transformed sports audio for the Alvin School District in southern Texas in recent years, installing Technomad advanced audio loudspeakers across baseball and softball fields, a large football stadium and other athletic venues to improve quality and coverage. Covenant Communications extended those audio benefits to the new batting cages at Manvel High School this spring, injecting fresh energy into the arduous drill of batting practice. The Technomad solution here covers all the bases, bringing together two full-range loudspeakers, an outdoor amplifier and a flexible audio control system. All components are completely weatherproof for protection against the heat, humidity and moisture of the harsh coastal-area climate.Click for current weather in Alvin! Mullins quickly discovered the Technomad PowerChiton, a series of compact, weatherproof outdoor amplifier modules that contractors can install outdoors and close to loudspeakers. The series also now includes the PowerChiton BreakoutBox, a similarly designed module offering accessible microphone and media player connections, audio control and device storage. The solution removes the need for a separate equipment rack and power source, with a single cable providing direct connection to the amplifier module. And the students are certainly getting music. Two Technomad Noho loudspeakers are positioned to the left and right sides, splitting the distance to the center of the cages. The broad dispersion provides even coverage throughout, immersing batters in the auditory experience. 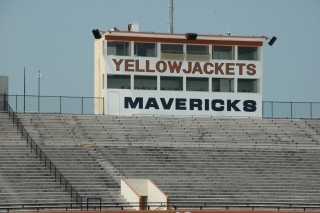 Ultimately, the many Technomad installations across the Alvin School District are representative of an organization that takes pride in its sporting programs. 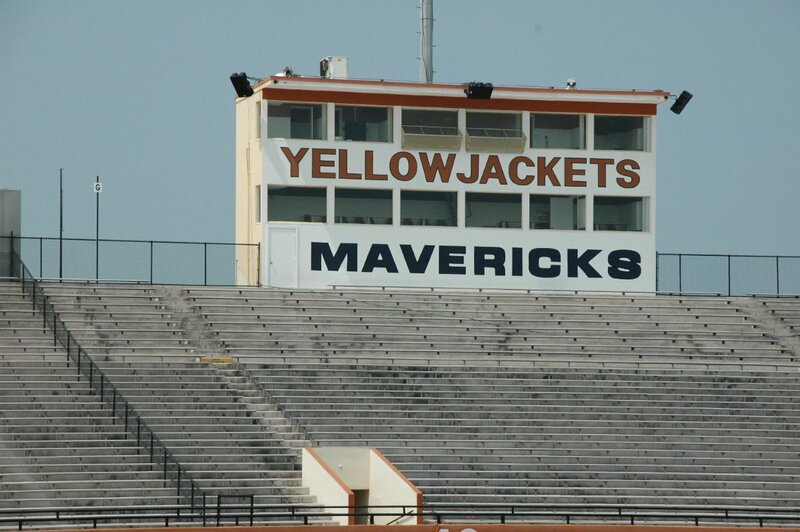 Alvin Memorial Stadium is the showcase of these installations, featuring five Technomad Berlin outdoor loudspeakers – the largest in the company’s portfolio – spreading even coverage of intelligible voice and full-range music across the large venue.